People with asthma visiting parts of the US face unhealthy air pollution, according to a report by the American Lung Association (ALA). 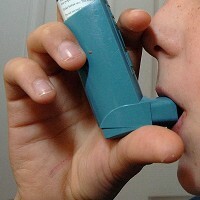 It says even though progress has been made, air quality standards are still outdated in many areas - a call which reminds people suffering from asthma to take out pre-existing medical insurance before visiting affected areas. The ALA's State Of The Air report gives Northampton County in Pennsylvania an ''F'' for its worsening short and long-term particle pollution. The findings also showed that the Allentown-Bethlehem-Easton metro area is among the nation's 35 most polluted cities for ozone and year-round particle pollution. "But millions of Americans across the country, including residents of the Allentown-Bethlehem-Easton metro area, are still forced to breathe unhealthy levels of air pollution as a result of air quality standards that are outdated."